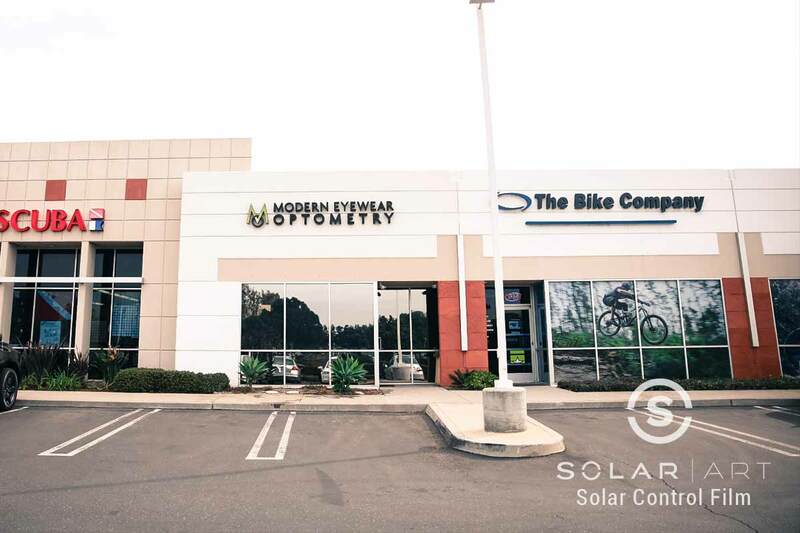 Solar Art installed privacy window film to an optometrist’s office in Lake Forest, California. Privacy is a very important aspect of any business. This customer was looking to increase privacy because he didn’t want passerby’s to be viewing the inside of his business for different reasons. One being to protect the privacy of employees and customers. Another being to protect valuables from being easily seen from the outside. The customer was also having a big issue with the afternoon sun causing the office to get really hot and the glare was preventing employees from being able to see computer screens. The customer’s goal for this installation was to produce a sense of privacy as well as reduce heat and reduce glare coming into their business from the afternoon sun. They worked with our sales representatives to figure out which privacy window film would work best for them and their situation. The customer decided on Llumar NHE20 for their commercial business. Llumar NHE20 is an exterior window film that has more of a neutral tone as opposed to a blue reflection, like a mirrored film or one way window film. NHE 20 is a reflective window film, making it difficult to see inside of the business. Llumar NHE20 shields 99% of UVA and UVB radiation and when installed on double pane glass, rejects 73% of total solar energy. The visible light reflectance from the outside looking in is 24%. This privacy window film is a heat blocking window film that will greatly reduce heat and reduce glare. The customer was extremely satisfied with the outcome of the installation as all of their goals were met. 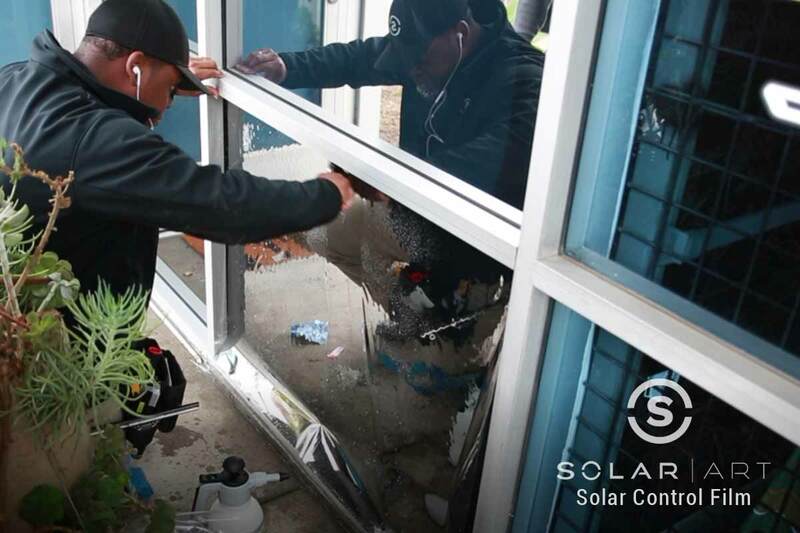 In addition to privacy window film, Solar Art also services solar film, decorative window film, anti graffiti film, security window film, custom graphics and building wraps. Window film is easily removable and can be applied in both residential and commercial settings. Contact Solar Art today for a free quote! Interested in Privacy Window Film? Contact us directly to talk about privacy window film! Privacy window film prevents outsiders from being able to see in as well as reduces heat and glare. Contact Solar Art to learn more!